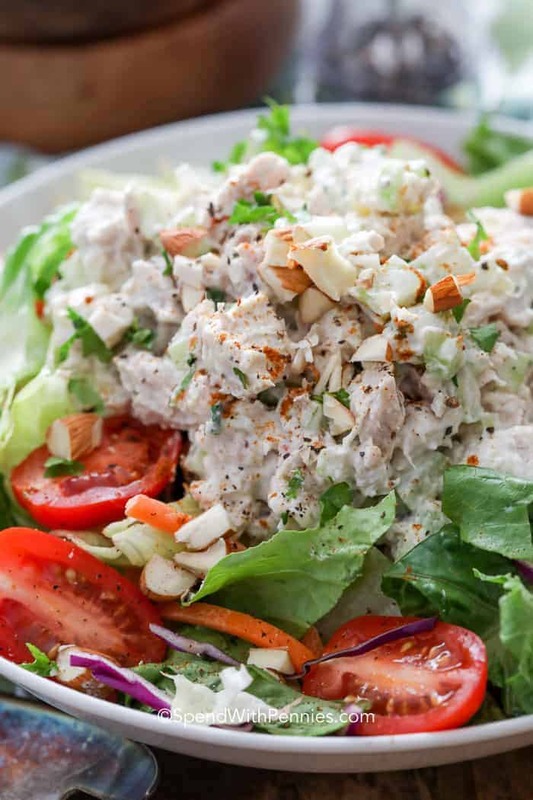 Chicken Salad is a simple and easy go-to lunch around here! 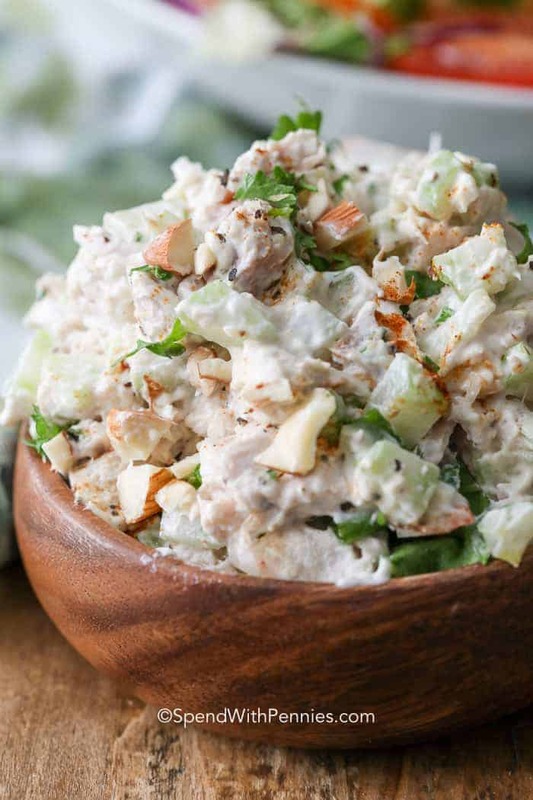 A classic chicken salad recipe combines tender chicken with the perfect blend of flavors and add ins. 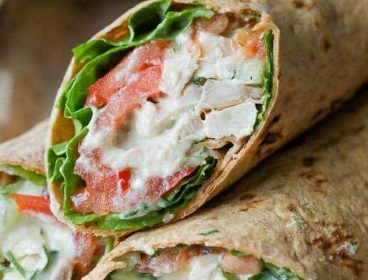 It’s great served on a bed of lettuce, in a sandwich or rolled up in a tortilla for a delicious meal on the go! This easy recipe makes the perfect sandwich to serve along side a bowl of Chicken Wild Rice Soup or to pile high in 30 Minute Dinner Rolls! 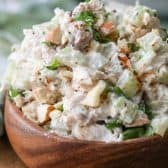 This is a simple classic chicken salad recipe. I add mayonnaise, seasonings, celery (or water chestnuts), green onions and almonds. Water chestnuts add a delicious crunch! 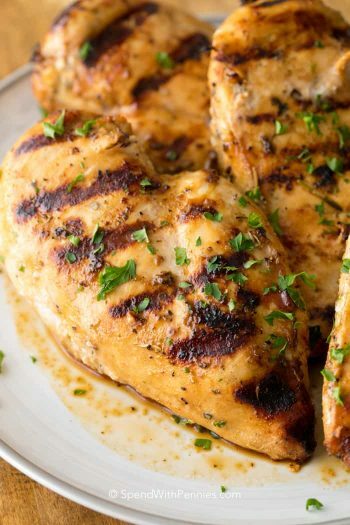 I always add a little greek yogurt not only to lighten it up, but it just adds a delicious tangy flavor! If you’d like, layer up extra toppings like cucumbers, lettuce and tomatoes… and build the perfect sandwich with your favorite toppings! 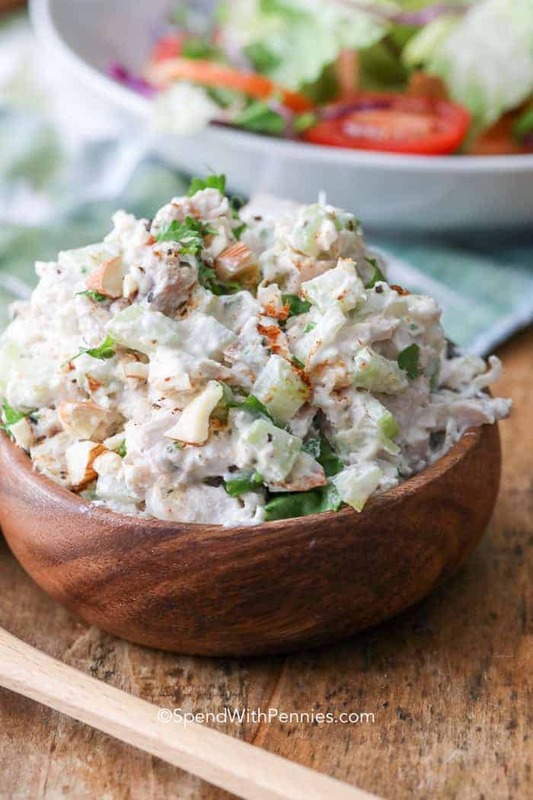 This easy chicken salad can use pretty much any kind of chicken! 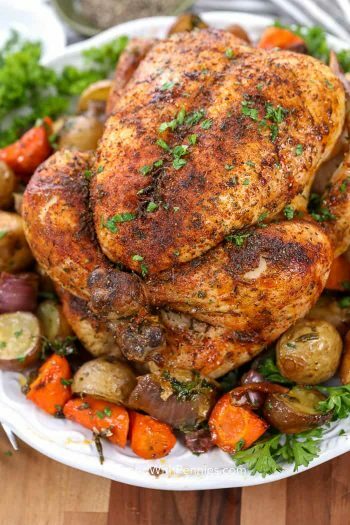 While I often use rotisserie chicken, roast chicken or poached chicken breasts are great options too! 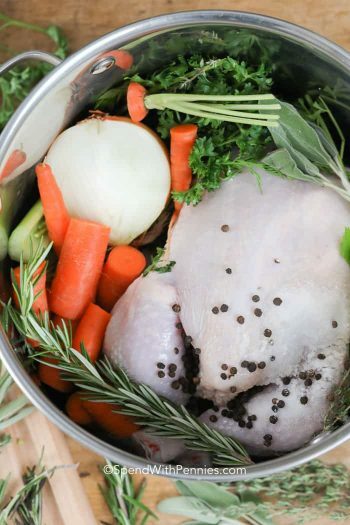 If you have leftovers, they are often seasoned which adds great flavor! We keep our chicken salad in the refrigerator for 3-5 days (as long as the chicken is fresh the day you make it). 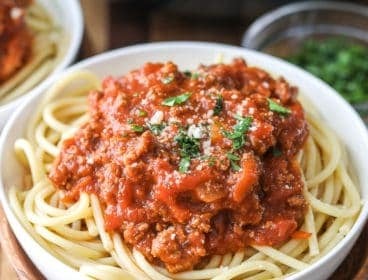 Remember to refrigerate any unused portions quickly. Sadly, mayonnaise doesn’t freeze well and that’s the base for the dressing in this recipe. If you’d like ready to go chicken salad, I’d suggest finely chopping the chicken and seasonings (water chestnuts freeze well too). 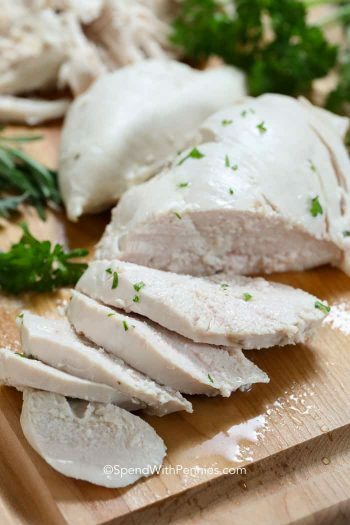 Freeze the diced chicken in single serving portions. 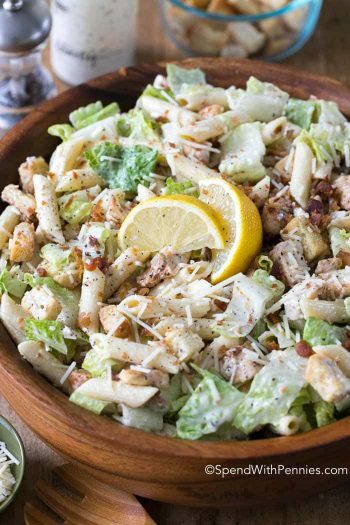 When you’d like a salad, just combine the chicken and seasonings with mayonnaise and any extra add ins. 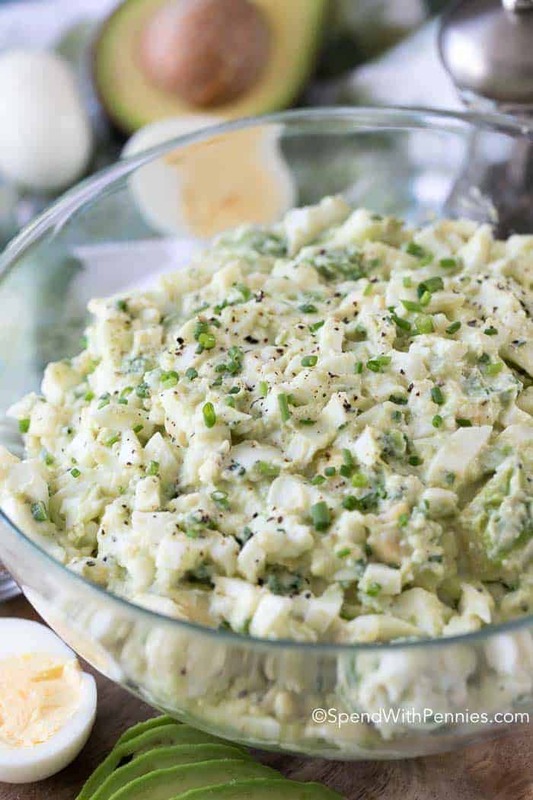 BLT Avocado Egg Salad – Reader favorite! 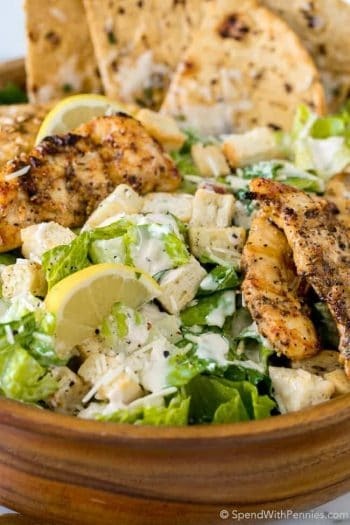 Salmon Salad with Capers – Low fat! Chickpea Salad – Make ahead! 20 Minute Broccoli Cheese Soup – Easy! 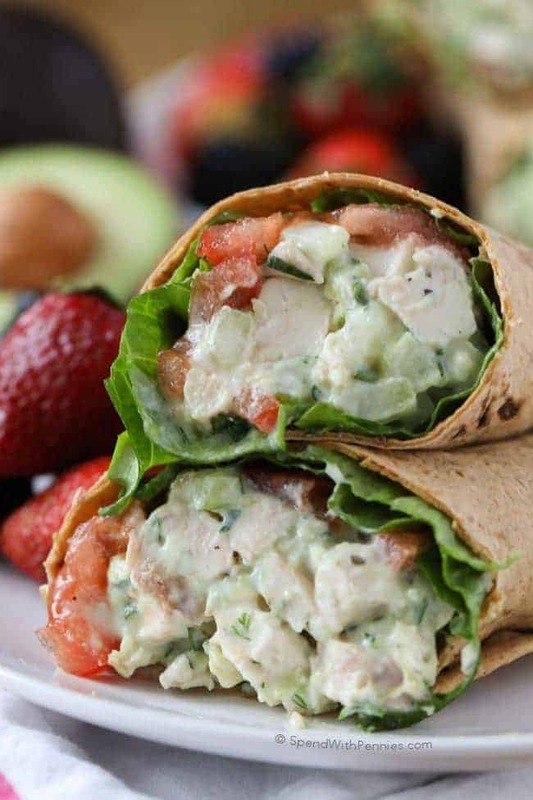 This easy classic chicken salad recipe is perfect on a bed of lettuce or as a sandwich or wrap! 2 cups chopped cooked chicken leftover or rotisserie work great! Stir together mayonnaise, greek yogurt, scallions, dijon, lemon juice & salt/pepper. Serve on bread, in a wrap or on a bed of lettuce!